MSI will be showcasing the new MSI Slatebook tablet device at next months Computex which will be available to purchase in the Q3 2010 according to MSI’s company chairman Joseph Hsu. 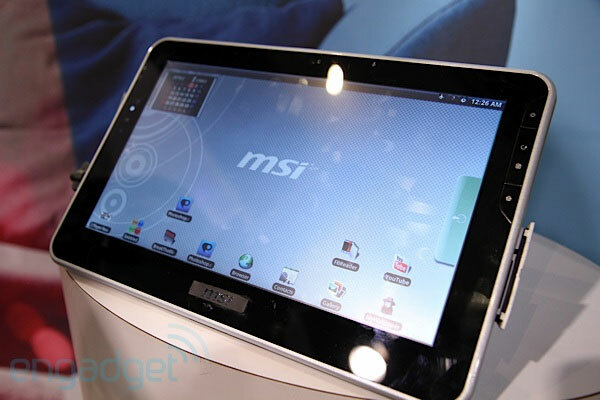 MSI’s Slatebook will feature Windows 7 with a 10″ multi-touch screen and will include both Wifi and 3G connectivity. Weighing in at around 800 grams the new device is expected to have dual USB ports and a HDMI output and is expected to be powered by an Intel Atom Zxx series processor but the exact specification is still yet to be decided. The MSI Slatebook is expected to retail for around $500 when its released in Q3 2010.